"When Not Just Any Agent Will Do, Insist on Chris"
I am committed to providing excellent customer service while getting you through the home buying or selling process. 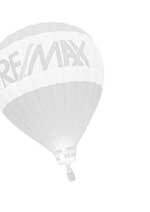 I am a Realtor® with 19+ years of experience who works hard to obtain a very substantial web presence. Please enjoy the information on my website and feel free to contact me if I can be of further assistance. The Tomahawk area consists of gorgeous lakes and rivers such as: Lake Mohawksin, Lake Nokomis, the Wisconsin River, and many, many more, acres of land- wooded and open, and so much more! If the idea of being surrounded by unlimited recreational activities sounds appealing, the Northwoods may be what you have been looking for. I also serve the Nokomis, Harrison, Bradley, and surrounding areas. If you are ready to make the move to the Northwoods PROTECT YOURSELF!!! In order to insure you are covered when making a real estate purchase you must hire a real estate professional to work for YOU! You may be unaware that all real estate agents work for the seller, unless you have a contract with them. Contact me today to start your search for the perfect piece of property or to help acquire your dream home. When you make the important decision to sell your home it is very important to do your research before choosing a real estate professional. Please check out my marketing plan in the About Me section. It is important that the sale of your home is handled with care and professionalism. For more information about the selling process, please visit the home selling advice section. You are invited to visit this site often to view tomahawk homes for sale, read home buying advice, or setup an automatic email alert so you do not miss any hot property deals. Welcome! Please look around for all your Tomahawk real estate needs!